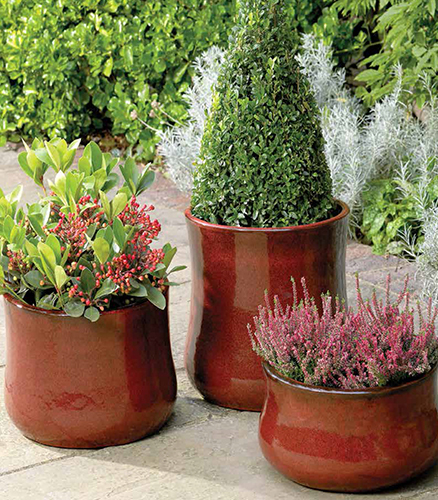 At Planters we have a great range of pots and containers to suit all styles and budgets. We stock an extensive range of Apta terracotta pots which are consistently popular with our customers. The 10 year frost protection guarantee allows for a confidence and peace of mind when choosing pots which will have pride of place in your garden for years to come. We additionally stock a large range of pot feet and stands. Not only do they finish off your potted arrangements, but they also allow for better drainage and in doing so prevent your plants from rotting during prolonged periods of inclement weather.